The Nigerian army has retaken the north-eastern town of Baga, held by Boko Haram militants since 3 January. In a tweet from its official account, the army said that “mopping up” operations were continuing. It also claimed in a separate statement that it had killed many Boko Haram militants, though this has not been independently verified. 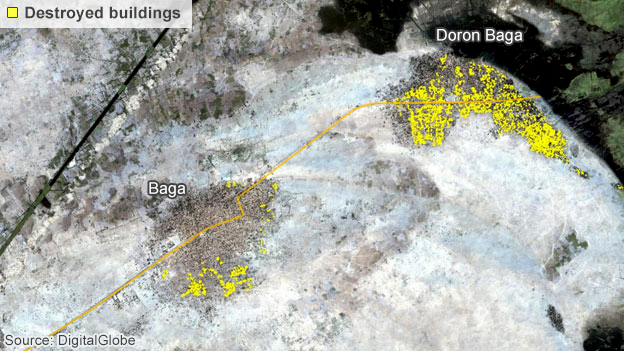 Nigeria says 150 people died when Boko Haram took Baga and nearby Doron Baga, but locals said up to 2,000 died. Residents were left largely undefended as the military deserted when the jihadists attacked the towns. This time, the army claims it was the militants who fled, with some drowning in Lake Chad as they tried to escape the aerial bombardment. It added that 1,000 mines had been laid in Baga, which soldiers had to negotiate before entering. The BBC’s Will Ross in the Nigerian capital, Abuja, say other sources have confirmed that Boko Haram no longer control Baga. The massacre there is regarded as the worst attack of Boko Haram’s six-year insurgency. Thousands fled across Lake Chad when the assault began with 7,000 taking refuge in the Chadian town of Ngouboua. Boko Haram, which controls of much of Nigeria’s north-east, has killed thousands of people in its drive to establish an Islamic state. In recent months it has also carried out cross-border raids in neighbouring Chad, Cameroon and Niger, attacking villages and military bases. All three countries have joined Nigeria to form a military coalition against the Islamist militants. Also on Saturday, Niger’s army reported the deaths of 15 Boko Haram militants following clashes in an island on the Niger side of Lake Chad. Seven Niger soldiers and one civilian also died in the attack. It is not yet clear whether other armies were involved in the recapture of Baga. However, the Chadian army spokesperson said there had been no involvement from his country’s troops. 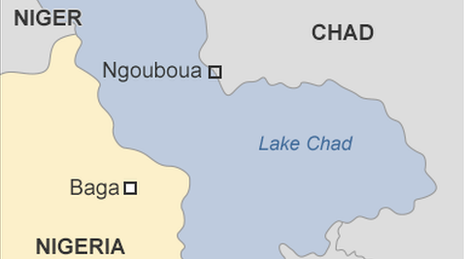 Chad has been carrying out attacks against Boko Haram deep inside Nigeria. The Nigerian army has been criticised by its failure to tackle the militant group, although it has recaptured some territory in recent weeks. Last week, Nigeria retook the north-eastern towns of Monguno and Marte from the group. Earlier this month, presidential elections were delayed for six weeks over security concerns. The electoral commission said it made the decision after the security agencies advised there would not be enough troops available to guarantee the safety of voters. 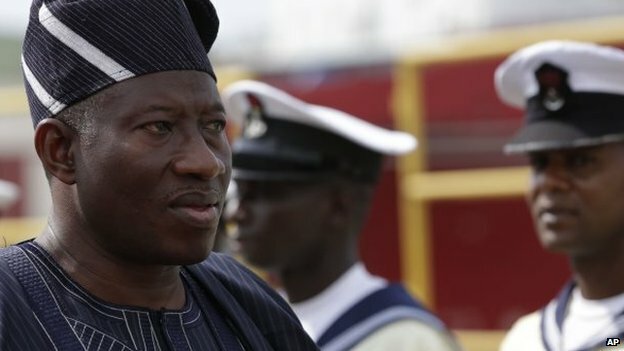 President Goodluck Jonathan says the election will take place on 28 March. However, opponents say they fear Mr Jonathan, who is running for a second term, will use the delay to hold on to power. Posted on 23rd February 2015 by newsafrica. This entry was posted in #BringBackOurGirls, Africa, African Security, Boko Haram. Bookmark the permalink.